As we move through summer towards autumn, the weather can change quickly. These weather changes can create fascinating photographs, but how do you predict weather and make sure you are prepared in advance. Kestrel handheld weather meters make this easy supplying a huge amount of data that not only give instant readings but helps to predict future weather patterns. Richard Paul Russell Ltd have recently supplied independent photographers, it seems the Kestrel is popular due to its size and ability to fit in an users pocket. The Kestrel 4000 seems to be the meter of choice measuring a wide range of weather parameters including temperature, relative humidity, barometric pressure, wind speed, dew point, heat index, wind chill and more. It even logs data at set intervals and produces graphs so you can track trends. It runs on two AA batteries that last a long time. The unit starts up quickly and the controls are quite responsive. There’s a built-in backlight so you can read it in the dark without a flashlight. Its waterproof and it floats. In remote areas the Kestrel comes into its own. If you are unable to get a local forecast the Kestrel 4000 will quickly give you previous and current barometric pressure readings so you can predict future patterns. If the wind shifts direction or it looks threatening you can review its logs to gauge what might be coming your way. If the weather is awful but the barometric pressure starts to rise sharply you can assume it’s going to clear up soon. Barometric pressure depends on knowing your altitude. The Kestrel actually measures station pressure, the actual pressure the air is currently pressing down with at your location. To convert this to true barometric pressure it needs a reference altitude, something that can be easily obtained with a GPS or from a local airport. Kestrel meters are extremely useful for outdoor photographers and for anyone who needs accurate weather information when out in the wilderness. Its harvest time and we have just supplied a SpaceLogger.T10 data logger to John Maguire and Son to record weights for a farmer. The farmer wanted to record vehicle weight after a field had been harvested so they can analyse yield. John Maguire and Son supply weighbridges and we have partnered to connect our SpaceLogger.T10 data logger by RS232 to their weighbridge. 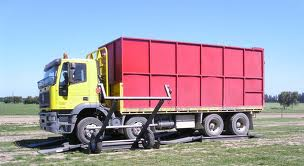 Every time a vehicle drives onto the weighbridge a print command is sent to the SpaceLogger recording the full loaded weight onto SD card that can then be compared to the empty vehicle weight. Each piece of data is date and time stamped and saved in a CSV file for manipulation via Exel. We are increasingly getting requests from the weighing market as businesses have a growing need to record and analyse data to ensure productivity and efficiency are maximised. Other weighing applications include medical and industrial scales, refuse trucks and waste bins. 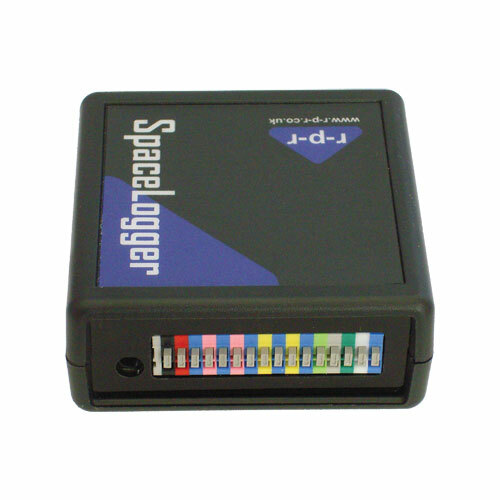 We are now in discussions to develop a WiFi variant of the data logger for the weighing market thus removing the need to transfer data manually from the SD card. 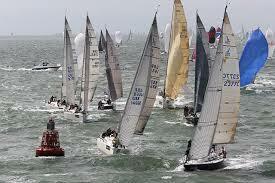 Richard Paul Russell Ltd have been playing spot the kestrel at Cowes Week with the Kestrel 1000 being seen. 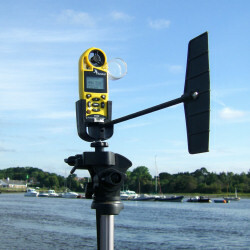 The Kestrel 1000 gives instant and accurate wind speed readings as well as average wind speed and maximum gust readings. 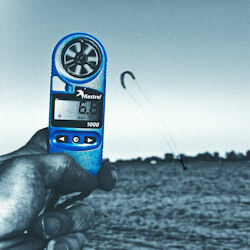 Many sailors are using these to make key sail choice or rig settings decisions. Its compact size and durable construction encased in a fully waterproof enclosure make it the ideal choice for this market. Richard Paul Russell Ltd are working with the Mulu Cave Project to ascertain the best methods of monitoring air flow within this fascinating expanse of caves. The Mulu cave network is based in Borneo, deep in Sarawak’s Gunung Mulu National Park. Recognised as the the most spectacular caves on earth. Over millennia the flow of water draining from the slopes of G.Mulu towards the sea has cut deep gorges through the Park’s limestone mountains and, within the rock itself, a complex network of vast caves has been formed. The Mulu cave project has been running for many years. 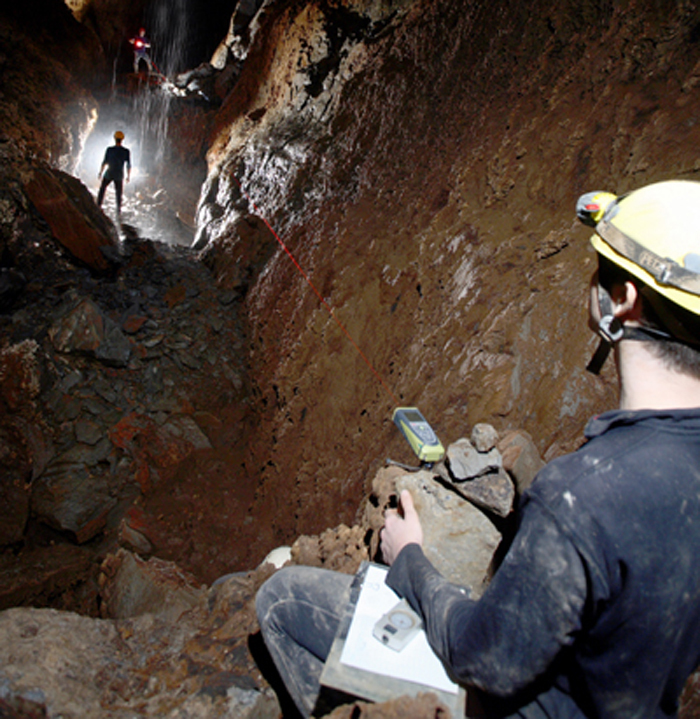 The Project aims to explore, survey, document and carry out scientific studies of Mulu’s caves. As part of the project there is a requirement to understand air flow movement and Richard Paul Russell Ltd have been approached to assist in supplying equipment for this purpose. The products focussed on are the WindSonic wind sensor , due to it incredibly low start up speed and high accuracy especially at low air flow speeds. The sensor could be mounted on a tripod and linked to a SpaceLogger.W10 data logger to record all wind speed and direction data at a rate of 1Hz. This will enable the project team to continuously log data for long periods of time without any human presence. For localised temporary recording the team are looking at the Kestrel 4500 wind speed and direction meter that can log data automatically (as well as manually) at programmable intervals, in order to display a history of weather information. Graphs display up to 2900 data points and the value, time and date of capture point can be shown. The combination of these two systems give the ability for long term data collection and localised specific data capture. This is a fascinating project and we hope to work with the team going forward and wish them the best of luck.